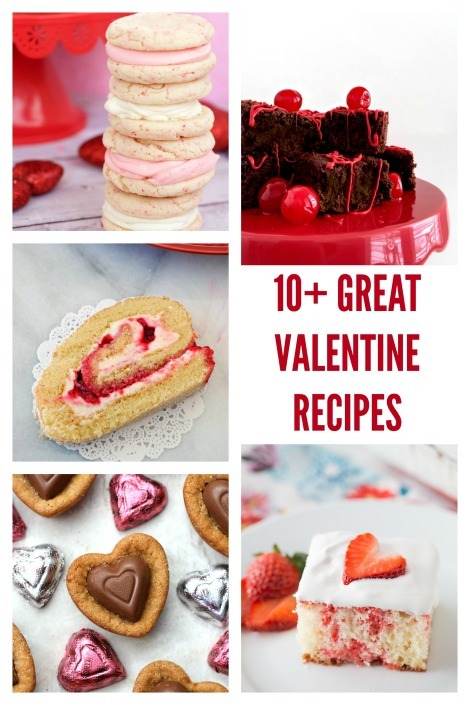 How about treating your family to this decadent Raspberry Dark Chocolate Mini Pancake Muffins recipe for Valentine’s Day breakfast? That’s my plan! 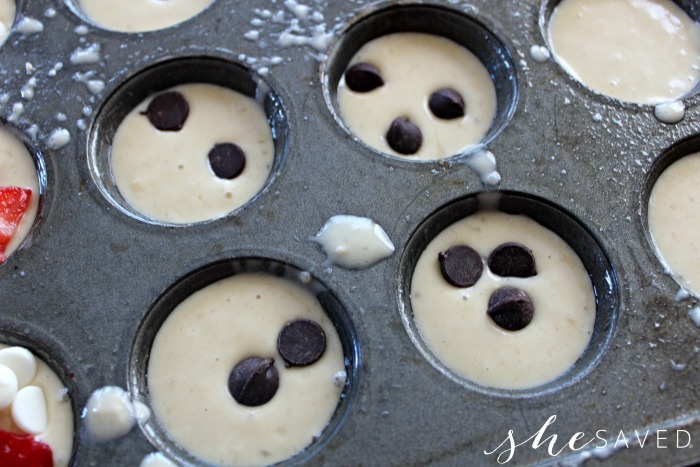 These pancake muffins are so easy and yummy that they really make a fantastic treat anytime of the year. What I really love about these is how much easier it is to get all my pancakes made up at once instead of one by one. They make the perfect addition to a big brunch spread or are good on their own for a breakfast on the go. This makes a big batch, about 48 mini muffins so unless you are feeding a crowd you will have plenty of them left over to freeze and save time on breakfast for another day. 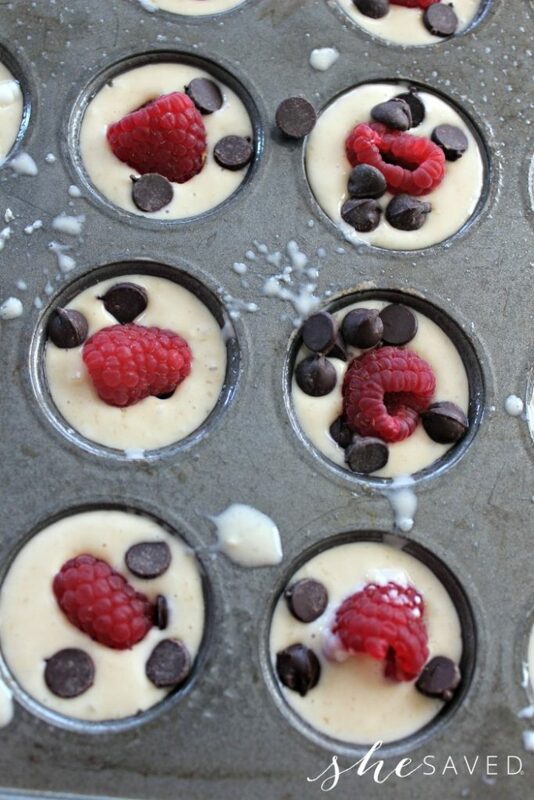 Coat a 24 hole mini muffin tin well with nonstick spray. In a separate bowl stir together baking soda, baking powder, flour, and salt. 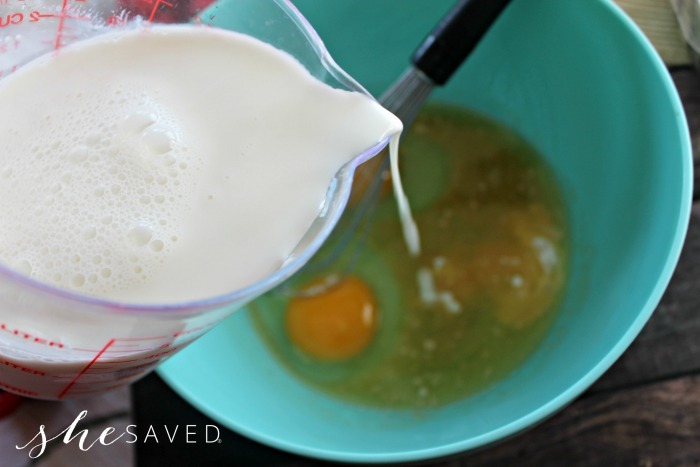 Combine milk, melted butter, and eggs in a large bowl. 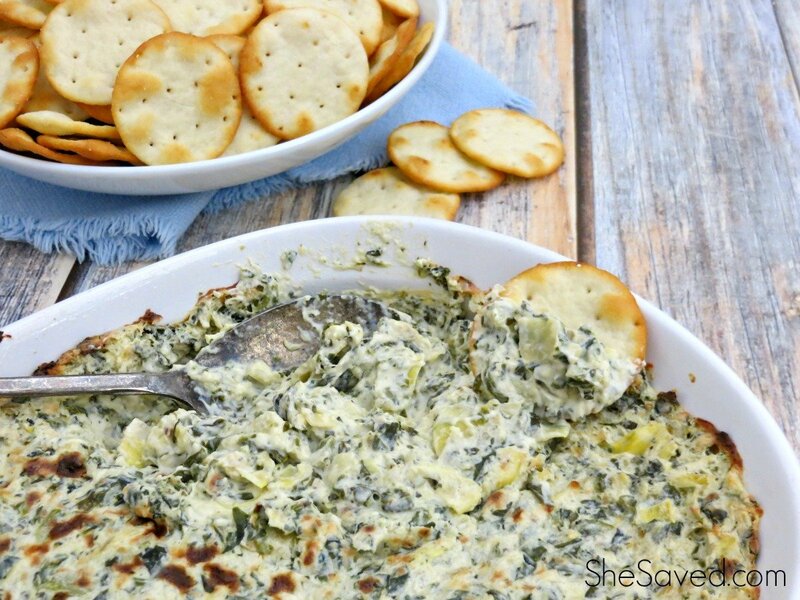 Gradually incorporate dry ingredients into wet until thoroughly combined. Drop a couple of dark chocolate chips onto your batter. Press a raspberry nearly all the way in and add a few more chocolate chips. 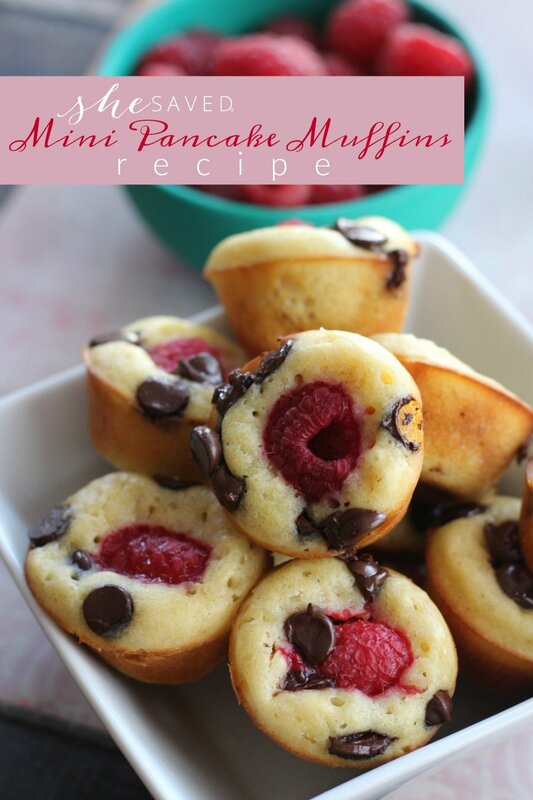 Bake for 10 to 12 minutes or until the muffin edges brown slightly. 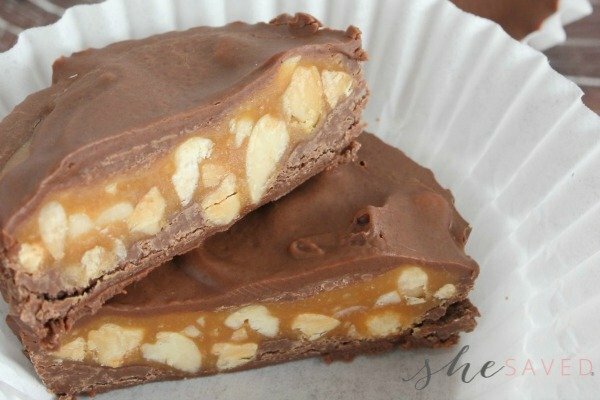 Serve these up with a side cup of warm syrup for dipping. 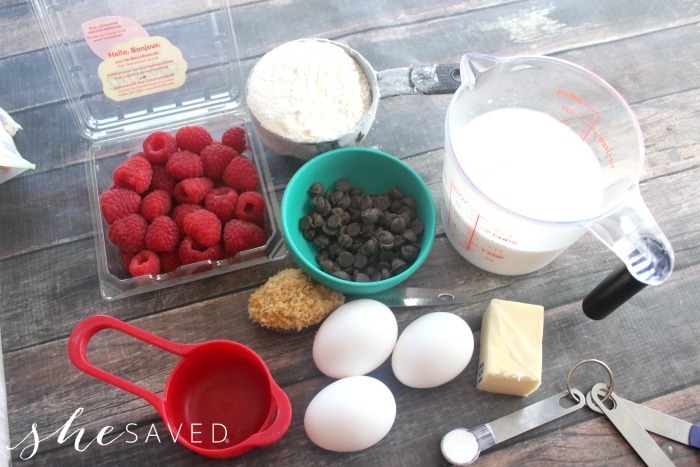 Enjoy this delicious Pancake Muffins recipe with your sweetie(s)! I am going to try this recipe for breakfast tomorrow! We love raspberrries over here, thank you for sharing love!! 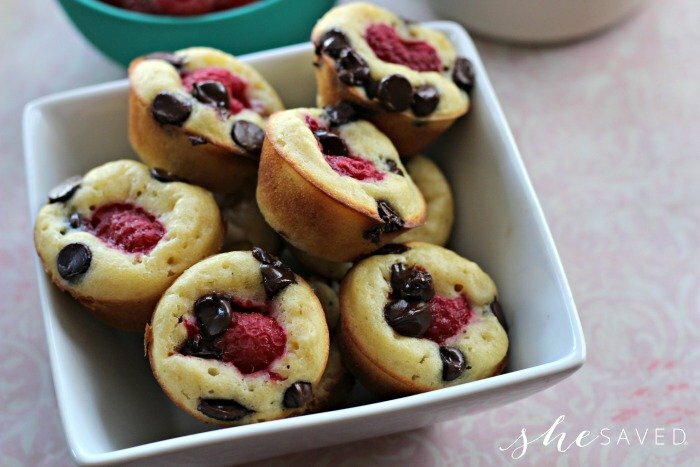 I haven't ever tried raspberry muffins. Yours look very nice, I think it's worth to try.